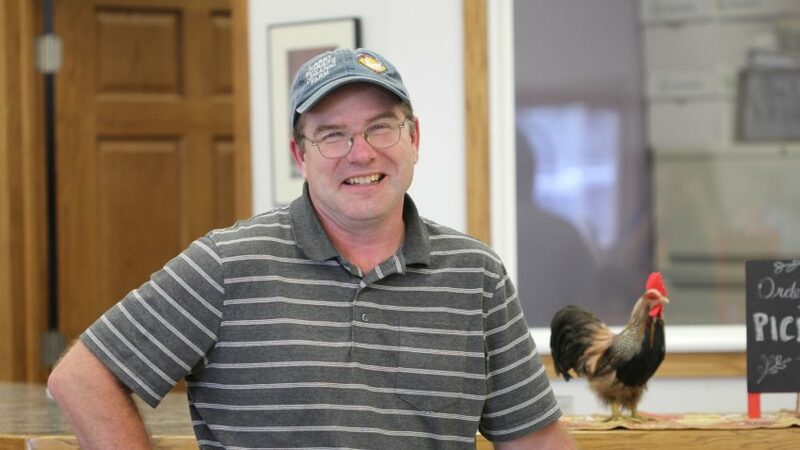 Larry Schultz’s family has been using organic farming methods since his great-grandfather first moved onto their land in Owatonna, Minn. Larry Schultz has been supplying free-range, cage-free, certified organic eggs, chickens and turkeys to Mississippi Market for many years. He prides himself on selling the freshest eggs possible – they’re candled and graded the same day that they’re laid! This means the oldest Schultz eggs you’ll find at the co-op are never more than one-week old. Schultz locally-raised organic turkeys and chickens are fed a mixture of organic flax meal, small grains, pasture grasses, and bugs. Flax meal ensures that Schultz organic eggs are high in beneficial Omega-3 fatty acids. The chickens and turkeys are also cage-free and free-range, meaning they’re free to eat and exercise comfortably within an airy sunlit barn or roam outdoors in grassy fields when weather conditions are favorable. Schultz organic chickens and turkeys never have hormones or antibiotics administered during their lifespan. These humane animal husbandry practices make for happy birds, flavorful poultry, and rich colored egg yolks.